Artistic Director, Christina Artemis formed Artemis Theatre Company in May 2004. Its first production was ‘Aphrodite and the Apple’ which was performed at Boscombe Arts Festival. 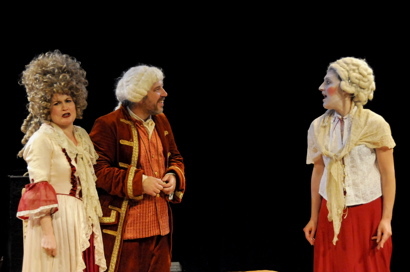 The production was supported by a Bournemouth Arts Grant, and was a first play by local writer, Alison Finch. Since then, ATC has gone on to produce a series of groundbreaking dramas, and continues to offer a range of educational and recreational activities to members of the Bournemouth community, with the support of local and regional Arts development. Our background is influenced by traditions of Ancient Greek Theatre, when social issues were addressed by exposing the community to big themes i.e.tragedy, loss, oppression, betrayal, war and contrast them with love, faith, beauty and peace. Artemis Performance Arts for the Community is a not for profit organization; Artemis Productions forms the professional branch of the company. Our Committee and management structure is made up of highly successful business people with extensive management and financial skills. For the artistic development of the organization we have created a sub committee made up of artists, actors, writers, and many volunteers. A conscious society in which self-expression through theatre, music and the arts is an everyday part of life, where everyone has the freedom and leisure to explore their creative talents. We aspire to ancient theatre from all cultures for their stories and myths, as a way of understanding our own modern day issues and conflicts both personal and social. Provide creative opportunities for the community through courses, workshops and theatre productions; working alongside professional artists to develop skills, creativity, talent, teamwork and confidence. Support new writers, and provide a platform to develop and produce their work. Increase access and participation in the Arts – empowering professional artists and communities to work together in creating innovative Theatre. Celebrating diversity by bringing back the storytelling and mythology of different cultures. Training through the 1 year Foundation Course leading to the 1 year Performing Course. Provide a bridge for the working professional to share their skills with the community, and the opportunity to perform work that is exciting, new and innovative.